LEDVANCE smart High Bay DALI luminaires provide direct energy savings of up to 90 percent compared with conventional high bay luminaires. Unlike mercury vapour and metal halide lamps, they are dimmable and switch on and off instantly, allowing further energy savings to be realised through daylight and occupancy-dependent operation. 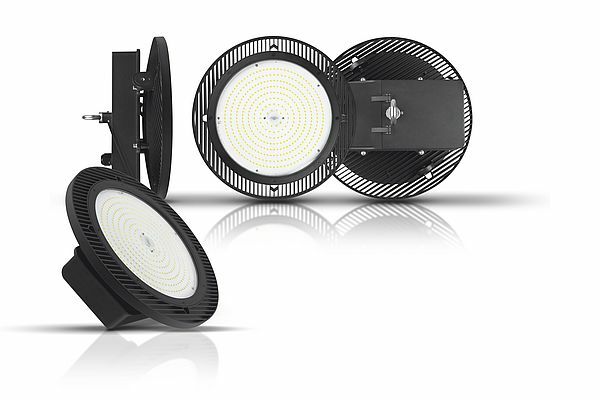 The integral DALI-2 interface allows the LEDVANCE High Bay luminaires to be readily connected to popular presence and light level sensors. This results in even greater energy savings than the new LED luminaires already achieve with their high luminous efficacy of 140 lumen per watt. Other features include an easy electrical connection with a push-button connector and the LEDVANCE 5-year guarantee. Also new at wholesalers is the High Bay DALI CLO which achieves constant luminous flux throughout its entire life. This makes calculations and planning easier for users as they can rely on the products keeping the same brightness levels throughout their L100 life span of up to 50,000 hours. LEDVANCE High Bay luminaires are an ideal replacement for luminaires with mercury vapour or metal halide lamps in warehouses, logistics halls and other industrial applications as well as high ceiling environments such as shopping malls, airports and commercial buildings. In addition to the much lower energy consumption, LEDVANCE High Bay lights need replacing less frequently leading to maintenance cost savings.